Since originally opening in February of 2017, The Range Kitchen & Tap has been a local favorite. It has been on our list of restaurants to visit and we finally had the opportunity this past week and it didn't disappoint! As we entered, we fell in love with the upscale,yet elegant, farmhouse decor. There is a small waiting area to the left and a nice bar area that allows patrons to see into the kitchen and food prep area. Although surprisingly busy for a Wednesday evening, we were greeted immediately by the hostess. We did not have a reservation, but she found us a table and seated us quickly. The dining area is filled with a variety of tables and booths and there is a quaint room in the rear of the restaurant that can be closed off by a farm-style door for smaller parties. Our server, Amber, greeted us with a warm smile, shared the evening specials with us and invited us to order a drink. Both the wine and beer selections are fabulous. I am partial to wine so we read through the selections and finally made a decision on the Pinot. To our delight, we learned that they have a Wine special on Wednesdays, bottles of wine are 50% off! Needless to say we purchased the bottle for what we would have paid for 2 glasses. When she served our wine, she mentioned some of their other popular wines and offered to bring us a few tastings, we loved everything we sampled! This was a great start to what would be a fabulous meal. Trying to decide what to order was a challenge, there were several items on the menu that we wanted to try. We watched the servers to see what they were bringing to other patrons but that just added to our indecision. After some debate, we decided to order an entree and a few appetizers so we could sample more of the offerings. We ordered the catch of the day which was an Alaskan Halibut with Risotto and two appetizers, the vegetable croquettes and cast iron meatballs. The Halibut was served on a small bed of risotto and topped with a light sauce. The Halibut was very fresh, flavorful and melted in your mouth while the risotto had a nutty flavor and I wished there was more, I couldn't get enough! The vegetable croquettes were nicely displayed and served on a wooden board, topped with a very light aioli sauce. The crust was light so it was easy to slice into. My only complaint about the croquettes is that I wished it was served with an extra side of the aioli. The meatballs were served in a small cast iron skillet topped with sauce and cheese. The meatballs were delicious, fresh and very flavorful!. We finished off every morsel of food, it was absolutely delicious! We really wanted to try some of the desserts but after such a wonderful meal and a bottle of wine, we couldn't eat another bite but we will definitely save room the next time we visit. Part of a great restaurant experience is the service. We have all been to a restaurant where we enjoy the food but if the service is bad, it's a dealbreaker. Luckily, the service here was fabulous! Amber, was attentive, checking in but not overly intrusive, it was the perfect combination. We were impressed with the wine selection, they had many we had not heard of or tried before. We loved our Pinot and the other tastings that were offered. Although we are partial to wine, the appear to offer a great beer selection also. Overall, this is a fantastic Farm-To-Fork restaurant and everything we had was fresh and delicious! Our meal was not only beautifully presented, but also absolutely delicious! We loved the ambience, the wonderful service and were delighted that the owner, Kevin Kokoszka, was walking around to ensure everyone was enjoying their experience. 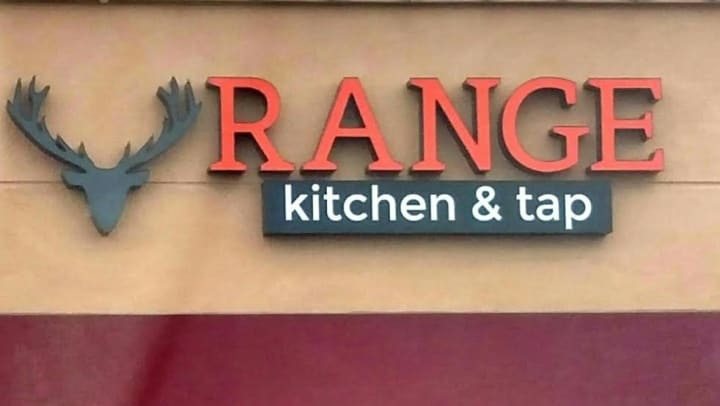 You can visit The Range Kitchen & Tap at 1420 E Roseville Pkwy in Roseville, by calling them at 916.865.4317 or visit them online at https://www.rangeroseville.com.